VATICAN CITY — Pope Francis is giving priests belonging to the Diocese of Ahiara, Nigeria, 30 days to write a letter promising obedience to him and accepting the bishop appointed for their diocese or they will be suspended. The papal text in English was posted June 9 on the blog of Archbishop Ignatius Kaigama of Jos, president of the Nigerian bishops’ conference. Cardinal John Olorunfemi Onaiyekan of Abuja told Catholic News Service the same day that the text was what Pope Francis said. The Vatican press office released the text June 10. Nigerian church leaders had met Pope Francis June 8 to discuss the situation of Bishop Peter Ebere Okpaleke, who was appointed bishop of Ahiara by then-Pope Benedict XVI in 2012, but who has been unable to take control of the diocese because of protests, apparently by the majority of priests. The protests were motivated by the fact that Bishop Okpaleke is not a local priest. 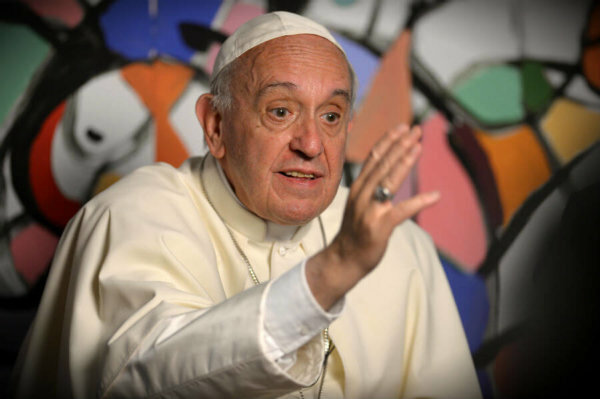 In the full text posted later, Pope Francis told the Nigerian leaders, “I think that, in this case, we are not dealing with tribalism, but with an attempted taking of the vineyard of the Lord.” The pope also referred to “the parable of the murderous tenants” in Matthew 21:33-44. “Whoever was opposed to Bishop Okpaleke taking possession of the diocese wants to destroy the church. This is forbidden,” the pope said. “The letter must be sent within 30 days, from today to July 9th, 2017. Whoever does not do this will be ipso facto suspended ‘a divinis’ and will lose his current office,” the pope said, according to the posts. Bishop Okpaleke, the contested bishop, also met the pope and was joined in Rome by other Nigerian bishops and a handful of priests making an unusual kind of visit “ad limina apostolorum” (to the threshold of the apostles) in early June. While “ad limina” visits usually are done in national groups, the Vatican communique described the Ahiara diocesan visit using the same term. It noted that the nine-person delegation prayed at the tombs of St. Peter and St. Paul and in the Basilica of St. Mary Major. They also participated in a private celebration of the Mass June 8 with Pope Francis. The Vatican did not say if the pope gave a homily. When Bishop Okpaleke was appointed to the diocese, the announcement was met by protests and petitions calling for the appointment of a bishop from among the local clergy. Ahiara is in Mbaise, a predominantly Catholic region of Imo state in southern Nigeria. Bishop Okpaleke is from Anambra state, which borders Imo to the north. Cardinal Onaiyekan joined Bishop Okpaleke on the “ad limina” visit to Rome, as did Archbishop Anthony Obinna of Owerri and Archbishop Kaigama. Three priests, a religious sister and a traditional elder also made the trip.